Shandong Shanbo Electric Machine Group Co..Ltd is founded on the basis of reformation of Boehan Eletric Machine Factory, taking up all the technology, brand, products market of Boshan Electric Machine Works, which is an armament corporation, founded in 1942, having powerful strength of research, development and production in medium & micro-power motor. electric equipment,electromechanical products, having tremendous contribution for China national defense career and Machinery Industry, honored several times by Central Committee of the Communist Party of China,State Council, Commission of Science Technology and Industry for National Defense, Ministry of Machinery. Shandong Shanbo Electric Machine Group Co..Ltd, own ten holding subsidiary companies and have technology center and five professional electric motor institutes. Company has passed ISO9001:2000 end GJB9001A-2001.GJB/Z9001A-2001 certificate of quality system, obtained Armament Research and Production License and the secrecy qualification for Armament Research and Production, which is awarded by Commission of Science Technology and industry for National Defense. And acquire certification of CCC certificate,ROHS certificate and CSA certificate for some Products.Motor of mountain brand acquires Famous Brand of Shandong Province and Excellent Products of Shandong Province. Wa take honesty foremost, Pursuing excellence,innovatlon and practice as our company' s spirit and we would become one of the best cooperating partners of you. Welcome customers all over the world cooperate with us and create a beautiful and sound future. - In 1999 (the 50 anniversary of the National Day military parade in the capital): motor vehicles was awarded command, the national defense science and Industry Committee, the National Machinery Bureau awards. - In 2001: "mountain" brand motor trademark alone was the domestic industry famous trademark title. - 2002: has issued by the Commission of science technology and industry for national defense weapons and equipment research and production license "". - In 2003: "mountain" brand series of products won the title of famous brand of Shandong province. - 2005: passed ISO9001/2000 quality system certification. - 2005: the establishment of the Shandong Boshan Motor Group Co., ltd..
- 2006: the scientific research unit of weapon equipment two confidential qualification certification. - 2007: re elected as China appliance industry association of micro motor branch vice chairman unit. - 2007: micro motors are Chinese Electric Appliance Industry Association as a "quality trusted products". 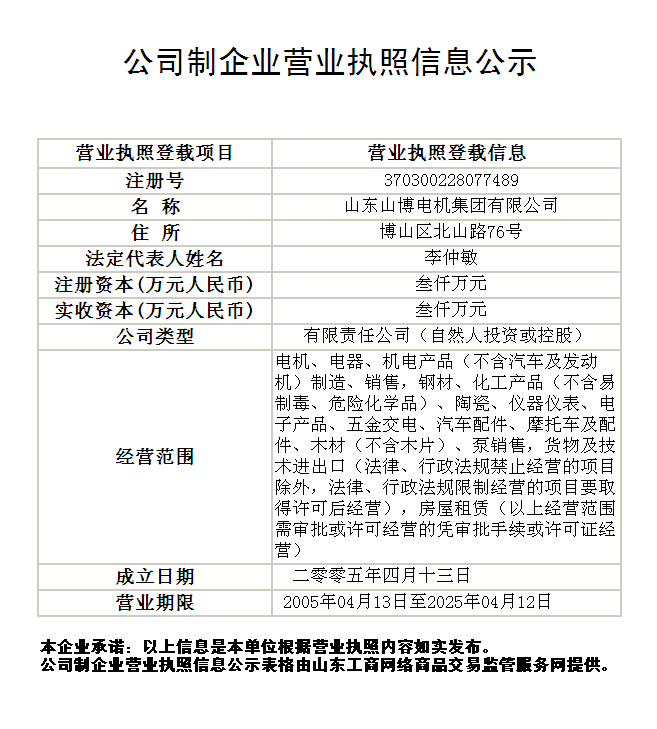 - 2008: passed the Chinese people's Liberation Army equipment contractor qualification. - 2008: be Chinese Electric Appliance Industry Association as "Chinese electrical appliance industry's most competitive enterprises"
- 2008: was named China machinery industry enterprise credit evaluation of AA grade credit enterprise. I- n 2009 (the 60 anniversary): motor vehicles by the General Armament Department and parade command commendation and praise. - 2010: was identified as state-level high-tech enterprises. - 2011: was identified as provincial enterprise technology center. 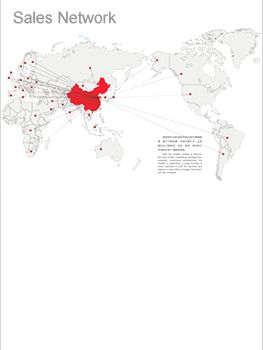 - 2012: was named Shandong province cleaner production advanced unit. - 2013: Won the top ten famous brands of China electrical equipment industry. - 2014: The military permanent magnet brushless motor project passed provirKial science and technology achievement appraisal. 2017：Re-elected as vice chairman unit of Small & Medium Electric Motor Subassoctatiort of China Electrical Equipment Industrial Association. Re-elected as vice chairman unit of Micromotor Subassocialion of CEEIA. The factory equipment excellent, leading technology, research and development with the development and production of various kinds of high quality, the ability of the motor. We sincerely hope to establish and develop economic and trade relations with friends from all walks of life at home and abroad.